Kolkata is also known as the City of Joy. This sobriquet has become immortal after Dominique Lapierre’s novel of the same name. Millennia of religious and political change have not changed the quintessential spirit of the city. The city was known as the Second City of the British Empire, next only to London. In modern times, it is called the cultural capital of India owing to its rich heritage. In current times, a lot of people have begun buying property in Kolkata. This is because of the rapid pace of property appreciation that has taken place in the city in the past decade. Many people from all over the country and even those residing abroad have started investing in real estate here. This has truly made it a perennial real estate destination for people from all walks of life. The builders and developers in Kolkata have taken note of this demand and are responding favorably to it. This article helps you understand the reasons behind the high levels of property appreciation that have driven people to invest more in this wonderful city. 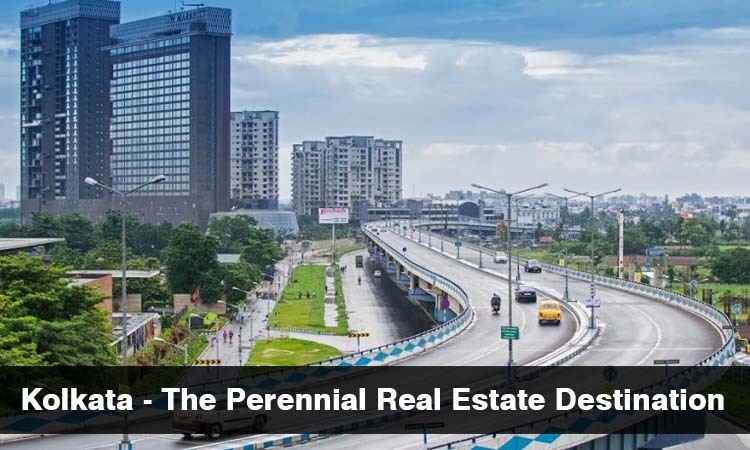 In this way, you get a comprehensive and in-depth analysis of how the city has evolved from a dormant one in the real estate sector to one of the most sought after in current times. We also tell you how to make the right choice when it comes to choosing the apartment that is perfect for you. Read on to find out how Kolkata has become the most sought after choice in the important domain of real estate. Kolkata is a bustling metropolis that is home to millions of people. In recent times, demographic experts have predicted that Kolkata is on its way to becoming a megacity that will house more people than ever before. The city has so many good schools and hospitals that cater to the needs of children as well as the elderly. There are many restaurants, malls, shopping complexes and multiplexes in the city. This provides you various modes of entertainment as well as enables you to buy daily necessities within walking distance. Such facilities are not available in smaller cities as they have very few of these benefits spread out all over the city. There is also extensive public transportation present in Kolkata. This city has eight different types of buses, an extensive metro network, local trains, circular rail, sharing autos and rickshaw’s that make traveling a cakewalk. This is in stark contrast to larger cities like Delhi, Mumbai, and Bangalore that don’t have such a wide assortment of public transportation network. In fact, even Wikipedia has acknowledged that Kolkata has the best public transportation network in India that is unmatched in any other city. In this way, the amenities provided by this city are way more than other cities. This is mainly because of the warm and friendly nature of the people that best represents the quintessential spirit of the city. So we clearly see that Kolkata is truly the city of amenities that will open up a lot of opportunities to people who want to elevate their lifestyles to new level. Another important fact about Kolkata is that the city has a lot of ponds and open spaces that is very much unlike any other metropolitan city. This makes Kolkatans something to be proud of as they get to enjoy the best residential complexes with the added attraction of enjoying the greenery, the cool breeze that comes from water bodies and the best parks and fields that help refresh and rejuvenate your mind and soul. All these factors make it possible for you to get the best out of investing in real estate in this lively and vibrant city. There has been a dramatic rise in construction activities all over Kolkata. This is mainly because of the fact that many people have shown interest in buying property in this dynamic city. Due to this, many builders and developers have expressed their keen interest in launching new residential projects here. They have mainly catered to the needs of those who need 2 BHK flats in North Kolkata. The spurt in construction activities has also been caused by the rapid expansion of the metro all over the city. In fact, the real estate prices of the properties around the places near to the metro under construction have risen by a great deal due to this useful facility. While other industries may not be that well developed in Kolkata, still there is no dearth of construction activities in this amazing and vivacious city. This clearly shows that it is extremely suitable for launching residential complexes that can help people get better housing facilities. In the past decade, there has been faster growth and development in Kolkata. The change that has come about in the spirit of the city has made it easy for businesses to set up shop here. This provides people with gainful employment who have make Kolkata their home. All these trends have brought about many changes in the way the city runs that is very likely to stay in the near future. Hence, this augurs well for the long run and provides people with many avenues for leading a better lifestyle. Kolkata was earlier known as The City Of Rajbaris. This is because of the royal families who used to reside here. They have left a legacy that continues to its present day. While the age of palaces no longer remains, their place has surely been taken by a growing number of high rises that currently dot the city. This surely honors the legacy and heritage of the city and showcases it to the younger generation in a brilliant way. Even though Kolkata is now called the City of Joy, one still gets the palatial feel when you visit the areas where these impressive structures once stood. This veritable fact is also further exemplified by the vast expanse of British colonial architecture that dots the major important areas of the city especially the older sections of this huge city. So rest assured that Kolkata will never lose its splendor and glory for time immemorial. The upcoming real estate projects in Kolkata will do justice to this fact. From the above, it is clear that Kolkata is the perennial real estate destination that makes it a city for all seasons!